Recently, Apple’s problem has been user complaints of its software destroying the hardware. Now, it looks like it’s accessories designed to protect the phone that are doing the damage. Cult of Mac is reporting that Apple Stores are no longer carrying several iPhone 4 cases because they have been causing cracks and scratches in the phone itself. Slide-on iPhone 4 cases are the specific culprits. The glass backing of the iPhone 4 is not as durable as the material on the front, and particles that get stuck over these slide-on cases are causing alleged cracks and scratches. No other cases have been rumored to be damaging, yet, but Apple is reportedly testing this out. As for older model iPhones, the slide-on cases should be just fine and are still on shelves. Cult of Mac claims that Apple is “slowly evaluating each and every iPhone 4 case at a secret case testing facility.” This isn’t the first structural problem with the iPhone 4, as we’re sure everyone remembers the hysteria-inducing antenna issue. Hopefully the iPhone 5 will be able to eliminate both these problems right off the bat. 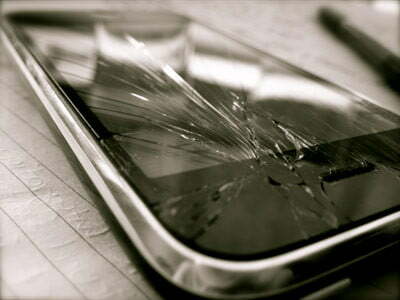 When the iPhone 4 was first released, there were a number of complaints about its fragility, in fact they were a fraction as durable as the 3GS models. But many users on the site’s forum reported that Apple was willing to replace the faulty phones – something that anyone affected by this latest damage issue should look into. For the moment, if you’re one of the unlucky ones out there, whip that slide-on case off your iPhone 4 until further notice and look into your warranty policy.